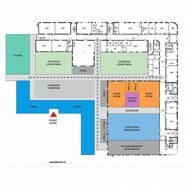 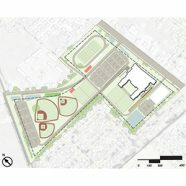 The Burbank School District and community had a specific goal for the design of its new 84,000 sf new K-6 elementary school: to ensure that the legacy of Luther Burbank – a horticultural pioneer and inventor that developed more than 800 strains and varieties of plants over a 55-year career – was reflected and honored in every element of the facility. 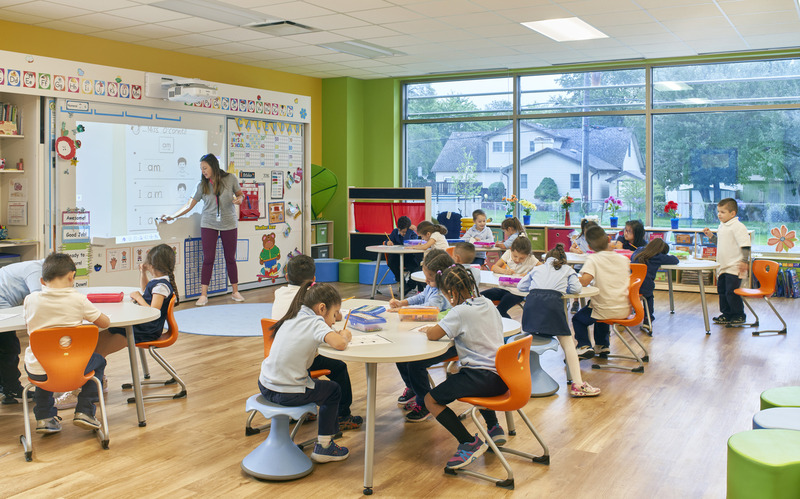 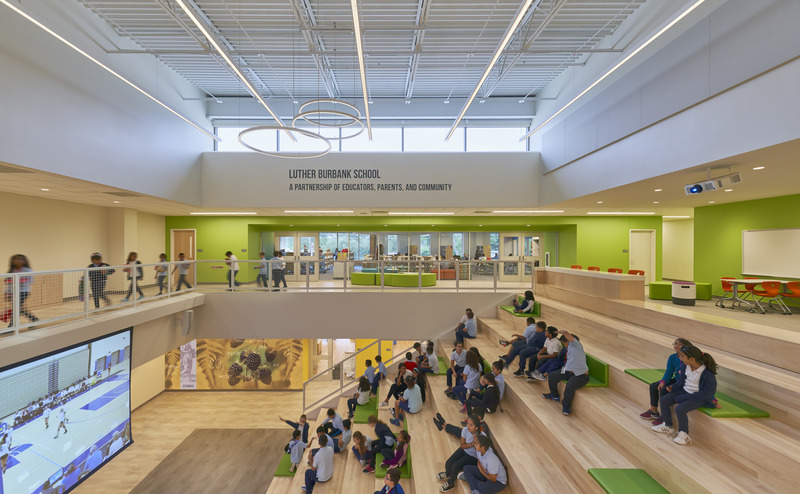 The space needed to infuse Burbank’s inquisitive spirit and desire to create positive change both within and outside of its walls, and inspire students from generation to generation. 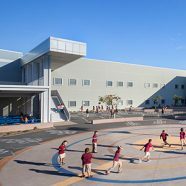 To set the facility apart and tie Burbank’s legacy within every space and element, the design team worked closely with staff, administrators and community members to create an inspiring, future-ready learning environment with strong connections to the outdoors. 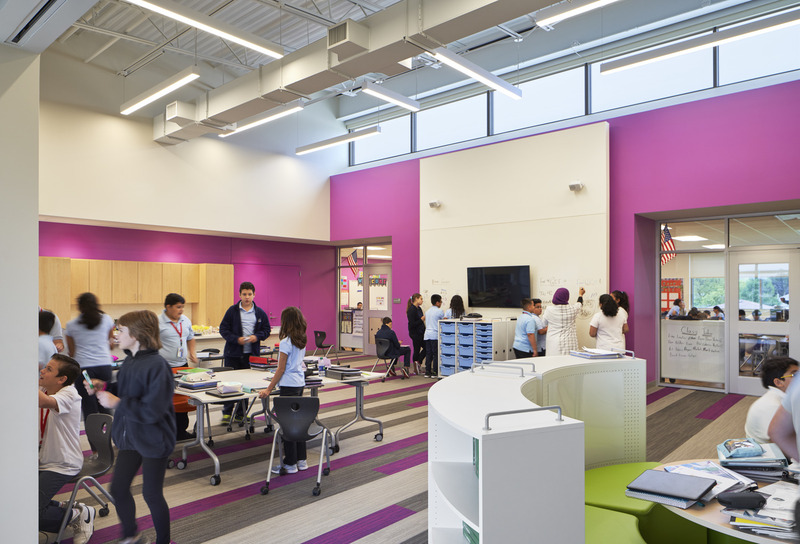 They looked at examples of learning environments that extended beyond the four walls of a traditional classroom, using shared learning spaces to foster collaboration between classes. 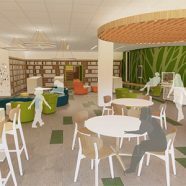 These spaces connect to three outdoor classrooms, set among native gardens that create a bio-swale and visible drainage system to foster continuous learning opportunities. 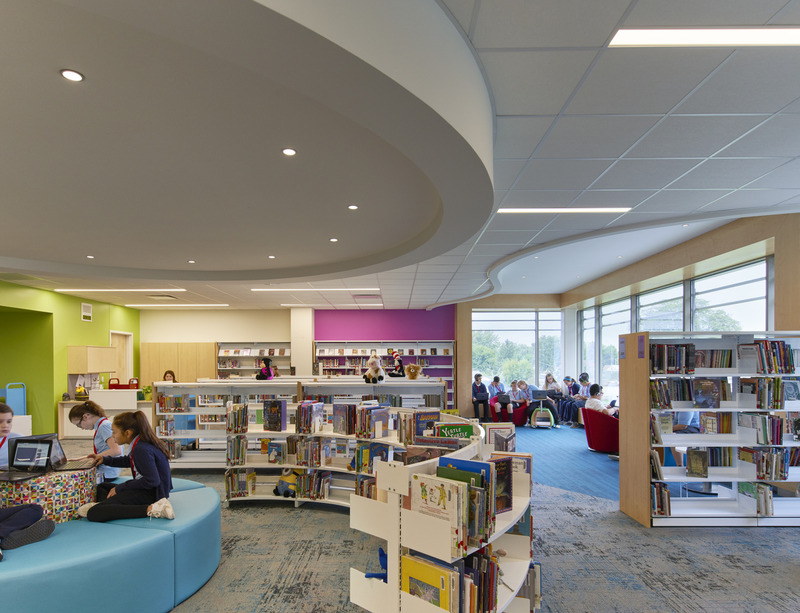 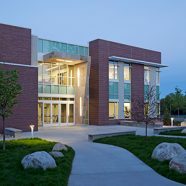 Sustainable elements are fused throughout, from spaces filled with natural light, to adding a high-performance geothermal mechanical system, which, combined, reduce operating costs and provide a productive academic environment and encourage environmental literacy. 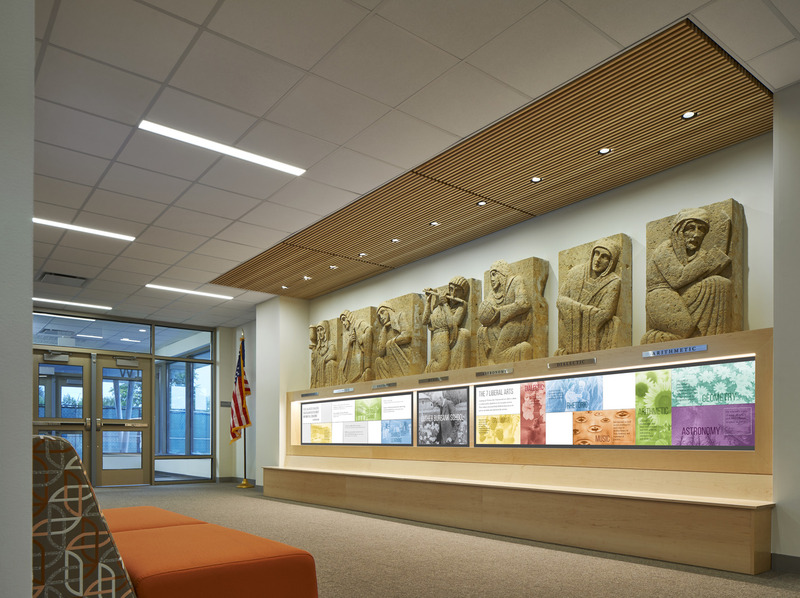 As a final nod to the community’s passion for the history of the previous facility, salvaged stone carvings depicting historical learning methodologies are installed at the building entry alongside a graphic timeline of Luther Burbank’s botany legacy. 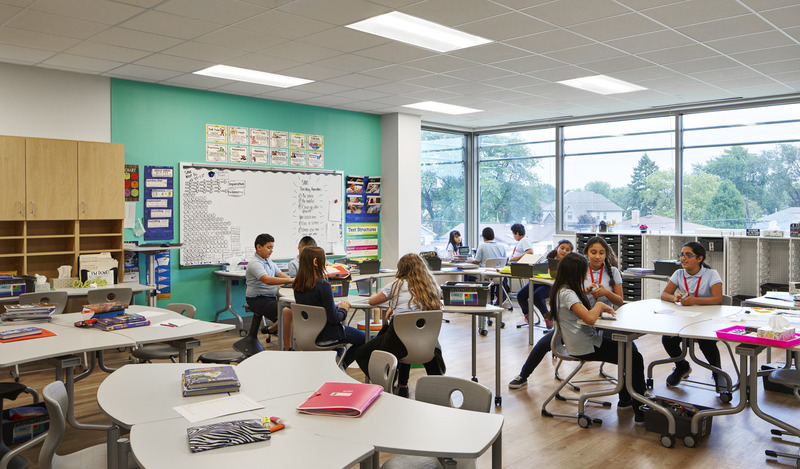 Each panel represents an educational theme for each grade, and ties the history of the school into its new environment.